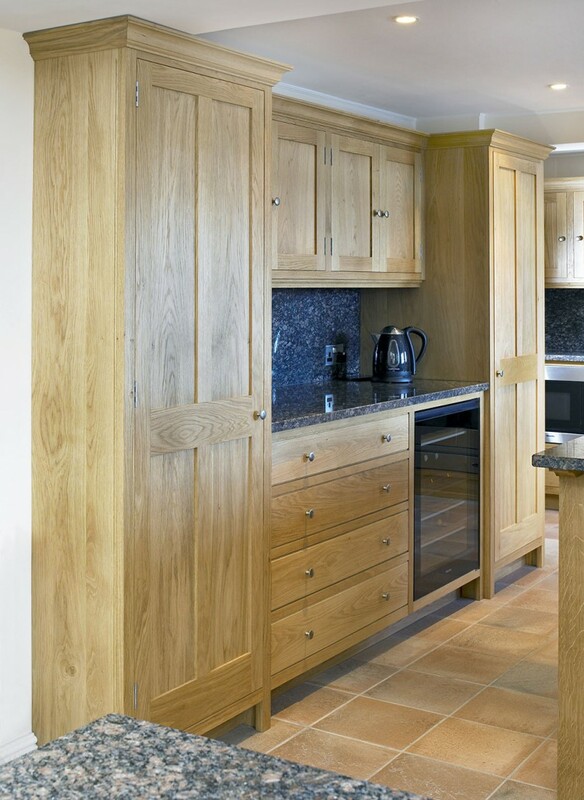 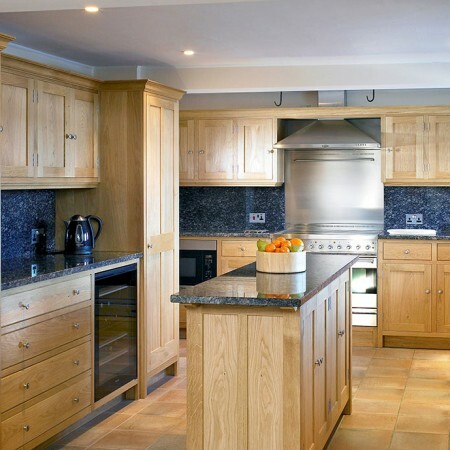 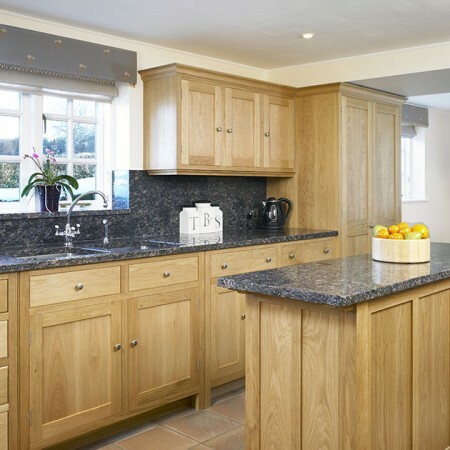 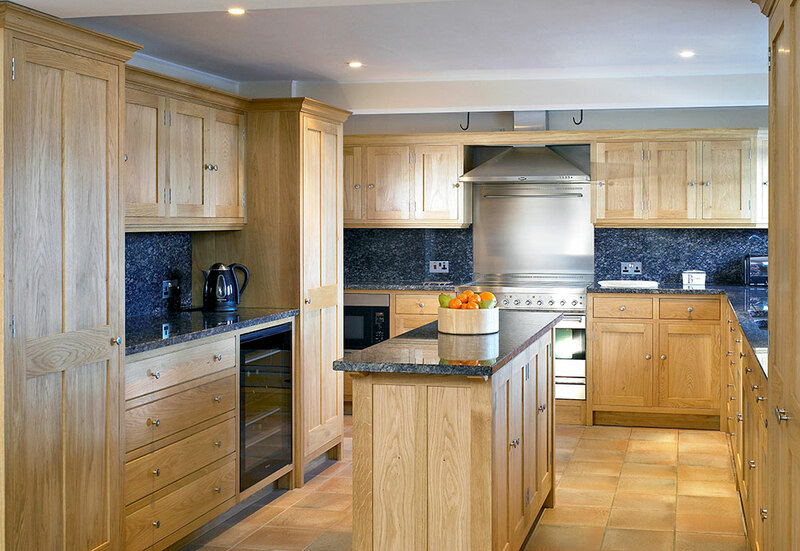 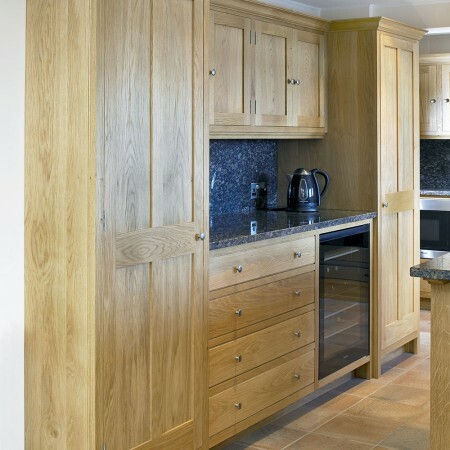 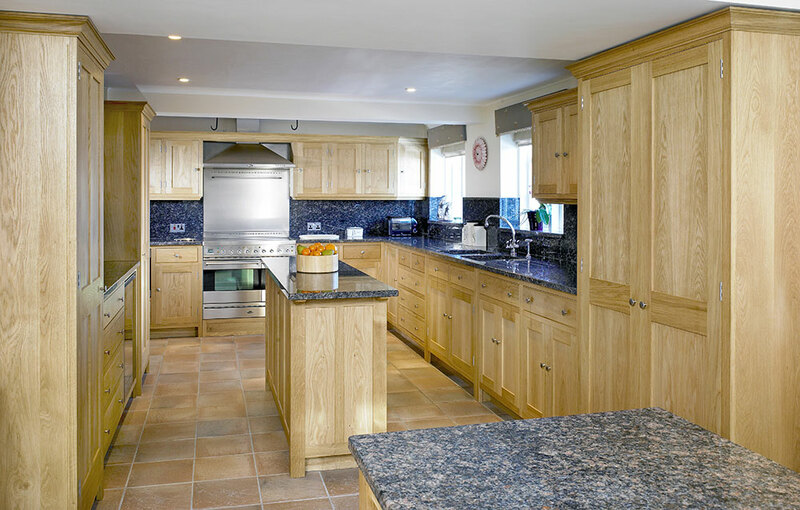 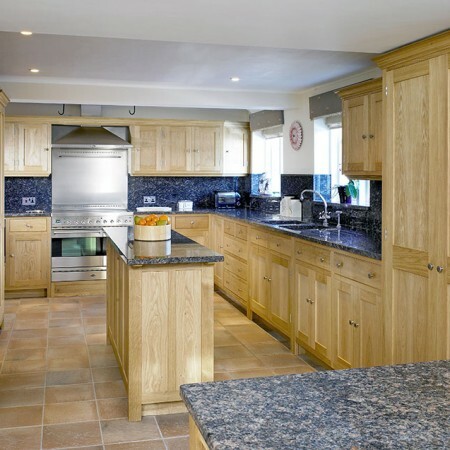 Our values are truly reflected in this timeless oak Craftsman kitchen which combines country style with a hint of contemporary chic. 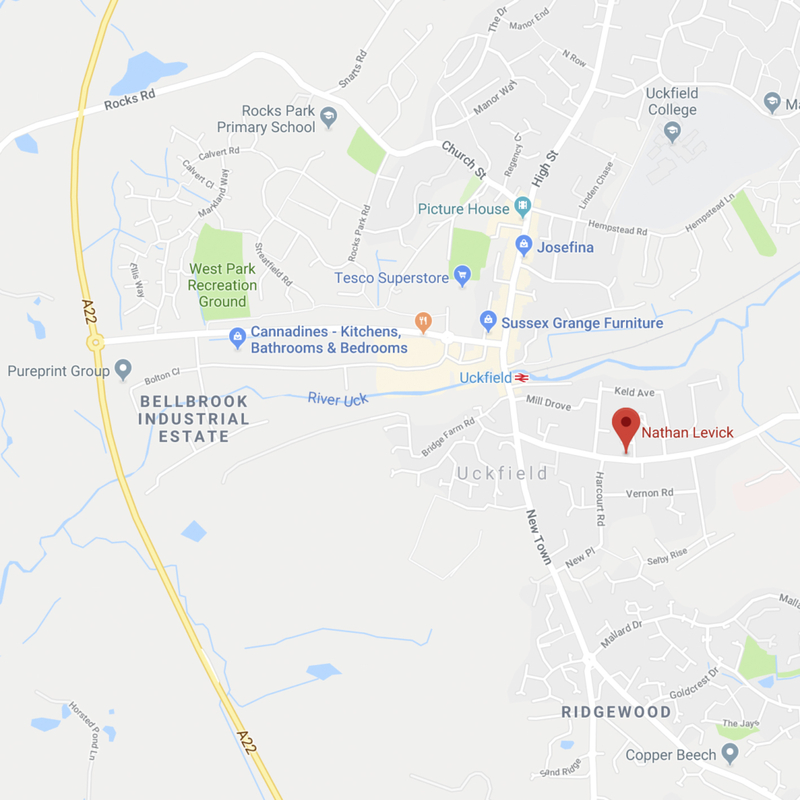 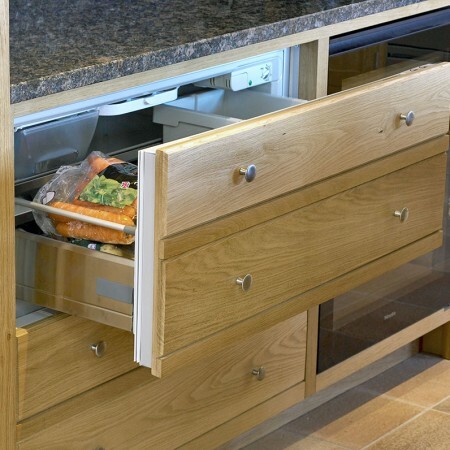 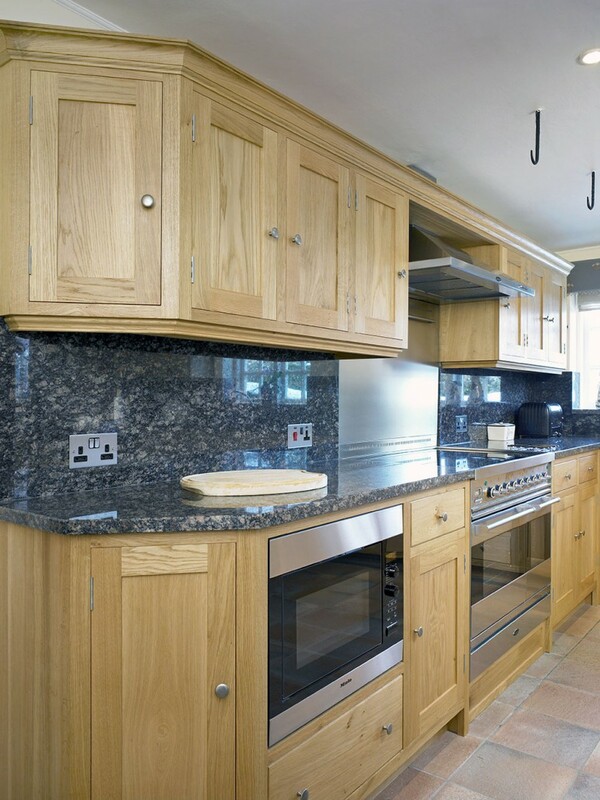 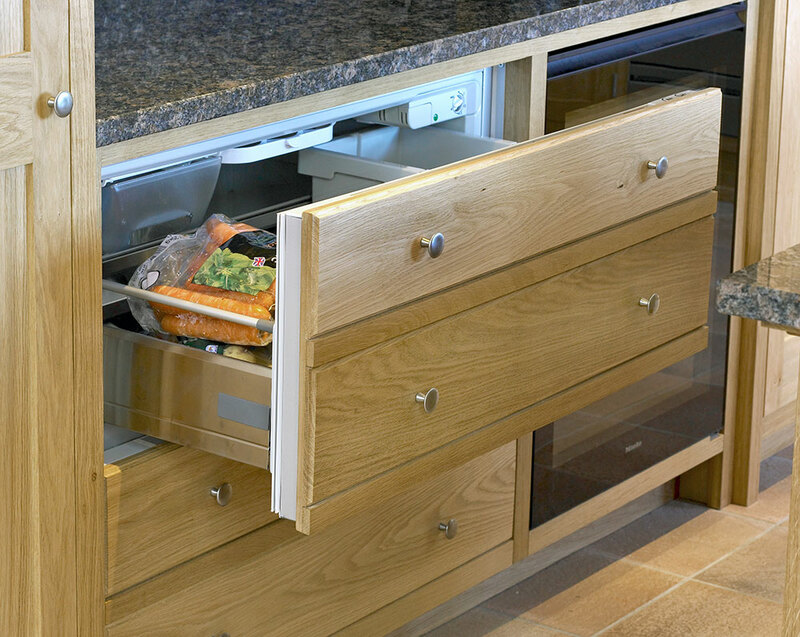 State of the art appliances are smartly contained within unpretentious cabinets which represent the best in hand crafted quality manufactured in solid European Oak. 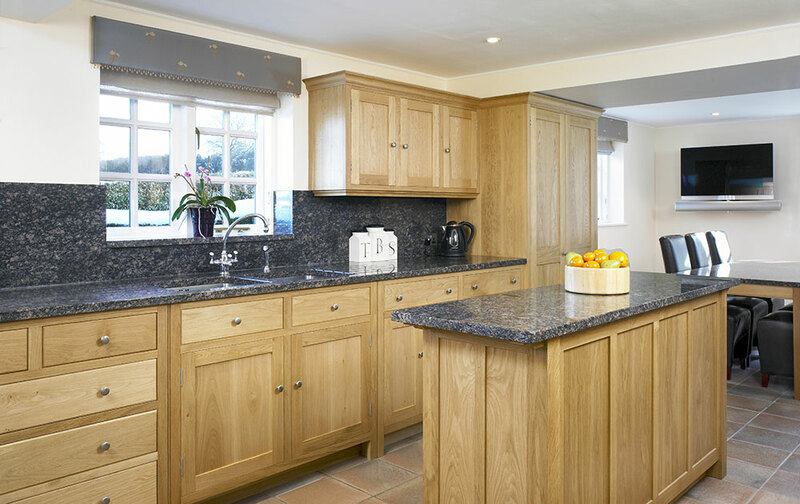 Sapphire Brown granite makes a stunning work surface and full height splash back whilst stainless steel plug sockets and appliances add to the contemporary blend of natural surfaces. 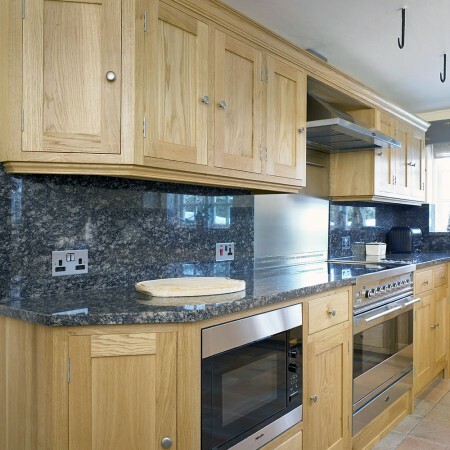 A narrow workstation ensures a practical working environment and a matching dining table finishes the kitchen perfectly.